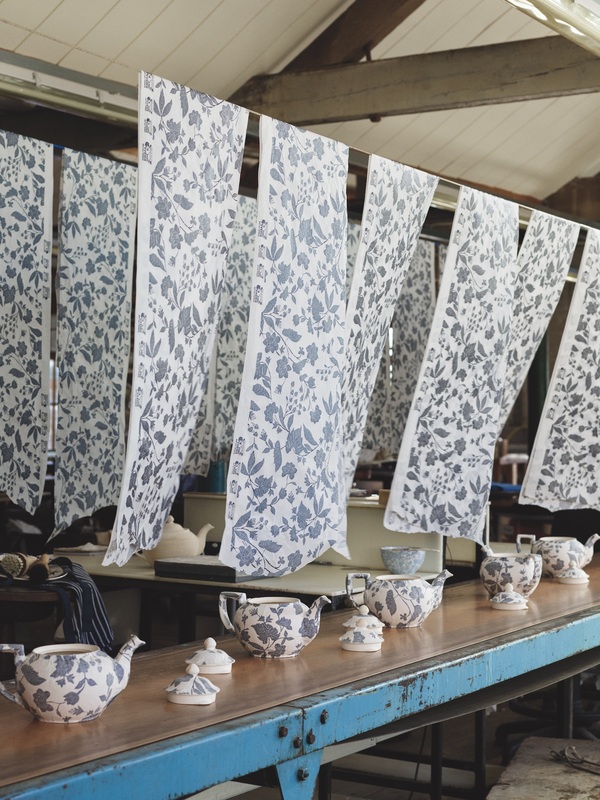 For the first time since 1851, Burleigh Pottery have now featured another designer’s original patterns on their beautiful and timeless pottery, and that designer is none other than Ralph Lauren. 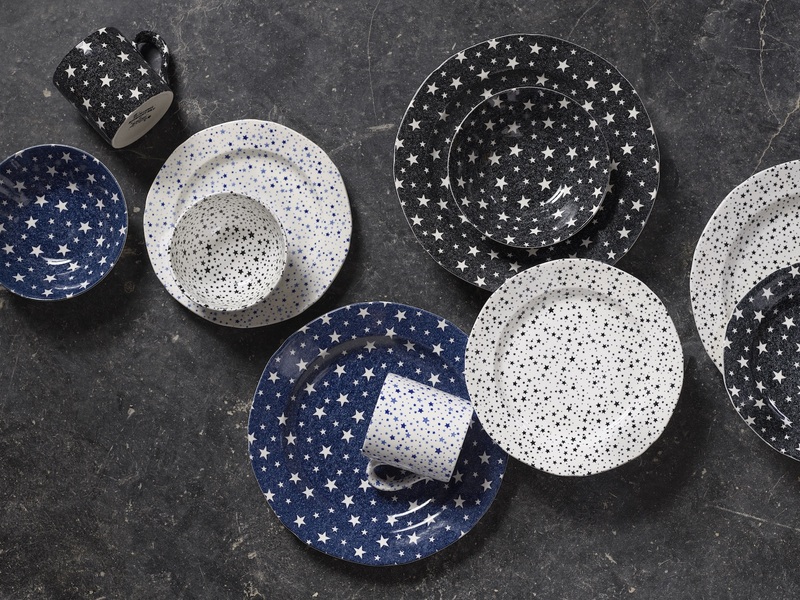 The collaboration of both prestigious companies have created a new unique dining and entertaining collection for Spring 2019 that truly celebrates their commitment to craftsmanship and artisanal entertaining pieces. Available in three very different but equally charming and intricate patterns; Peony and Garden Vine which are floral designs inspired by vintage batik cloths, and Midnight Sky (pictured above), a celestial- starry design reminiscent of RRL bandanas. 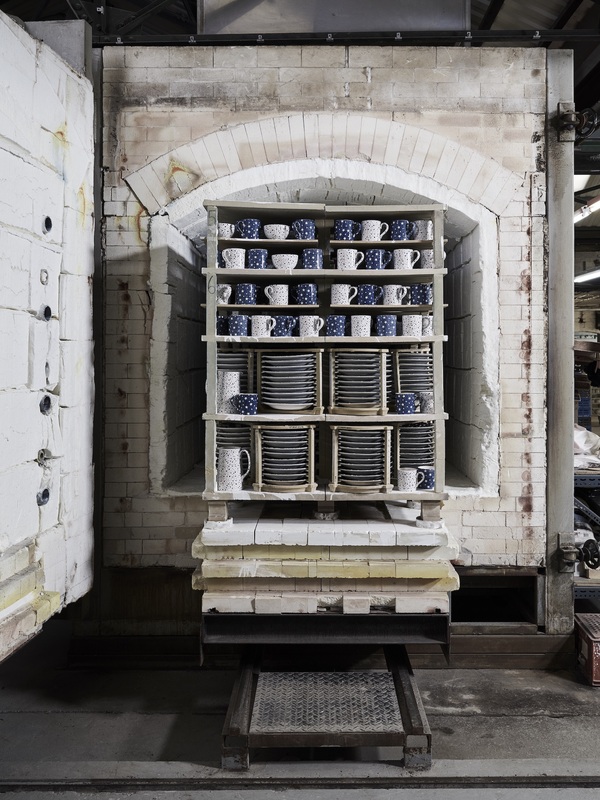 The Burleigh factory in Stoke-On-Trent has staff that have worked there for decades and in some cases their families have worked there too, passing the time-honoured process of this specialist craftsmanship down through generations. But that’s not all, much of the hardworking machinery is from the 1940’s and 50’s – some even date back as far as 1889 but are all still used today. All of this love and expertise has resonated with each bold design exclusive to Ralph Lauren and accentuates Burleigh’s time-honoured technique and natural hue of the white clay. 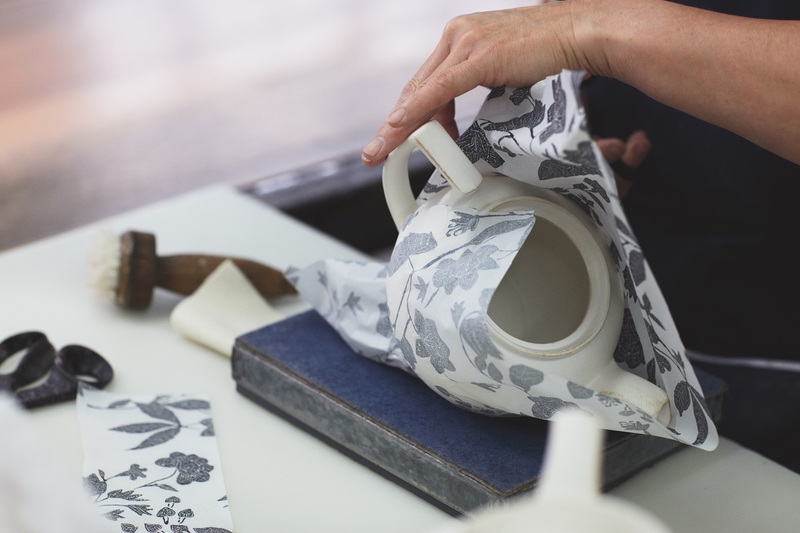 Interestingly, Burleigh is the only remaining pottery company in the world to use a refined method of tissue transfer printing which was a method pioneered in England over 250 years ago. This labour of love is a process that requires 25 different pairs of hands to create a single cup or saucer, engraved copper drums are cloaked with coloured ink and rolled onto the tissue paper. The next step is to hand-rub the tinted paper onto the unglazed pottery, and this technique is what makes Burleigh’s pottery absolutely one-of-a-kind. The new collections include dinner plates, salad plates, bowls, serving pieces that include an Etruscan jug, traditionally shaped teapot and faceted elegant serving bowl. 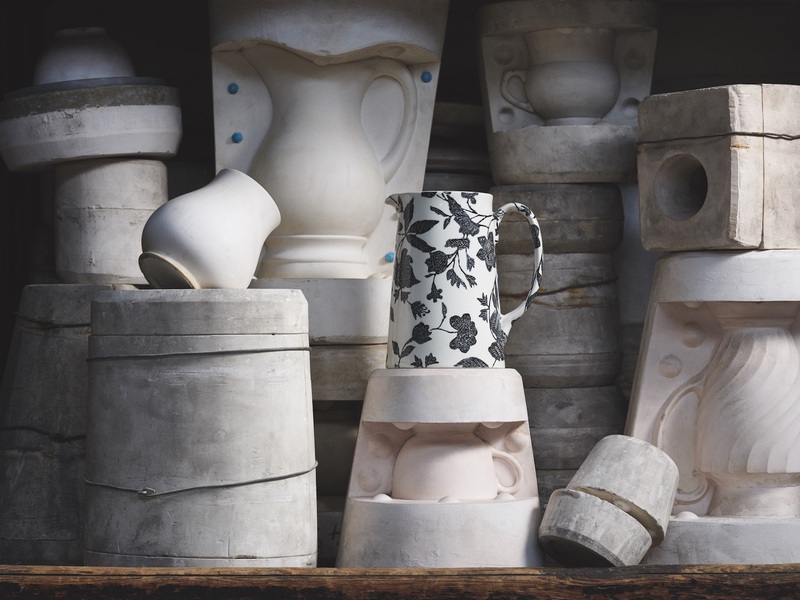 All created from earthenware strengthened with China clay so you can be sure each and every piece has been designed to be used and well loved. Burleigh has exemplified a particularly British manner of gracious dining for over two centuries, enabled by the recognition and preservation of its historic factory by HRH The Prince of Wales. 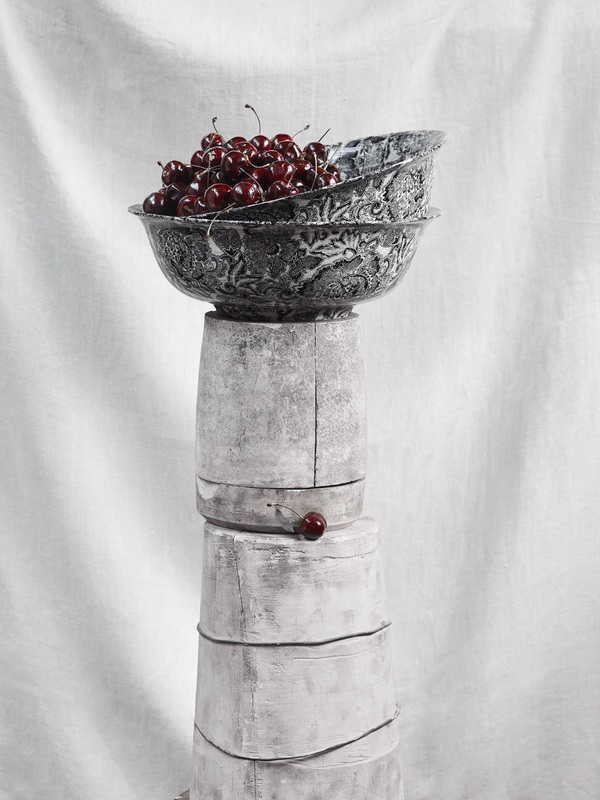 The Ralph Lauren and Burleigh Collection captures the history of traditional pottery, infused with a modern spirit and design. 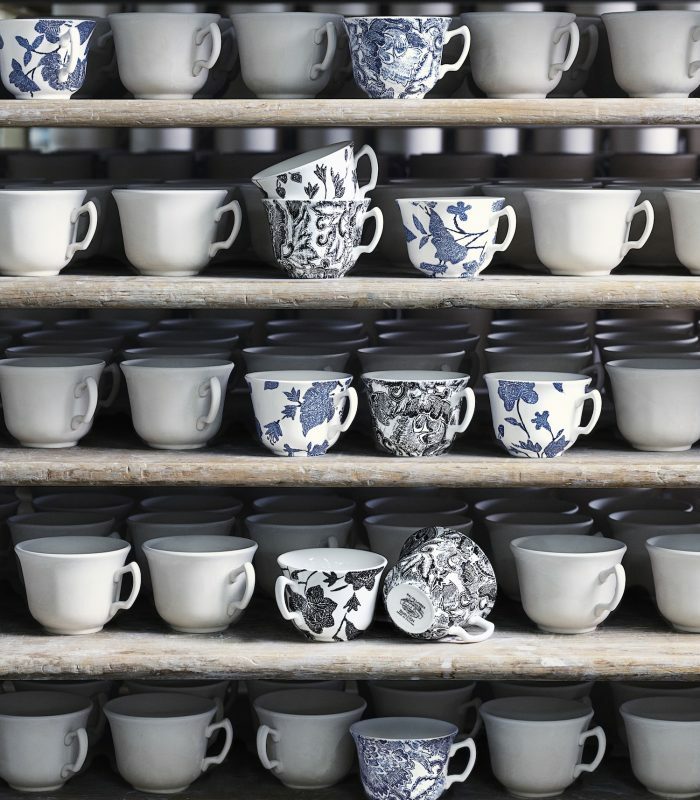 For more information visit the Ralph Lauren website here or the Burleigh Pottery website here.